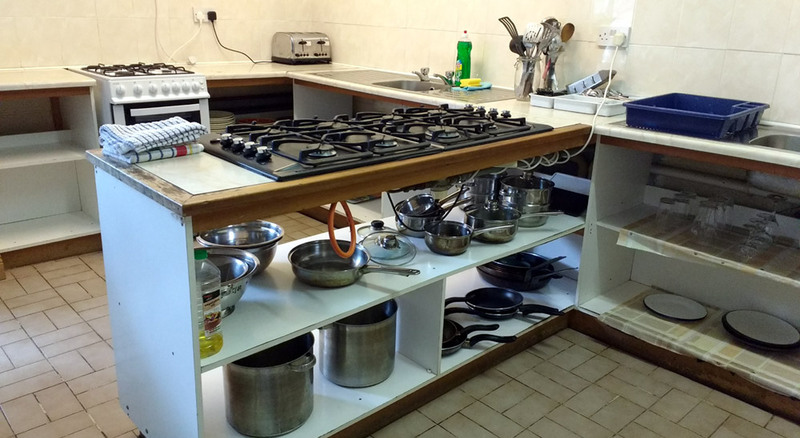 The main building caters for up to 48 people and has a large kitchen and TV room. Eight of the twelve bedrooms are en suite. 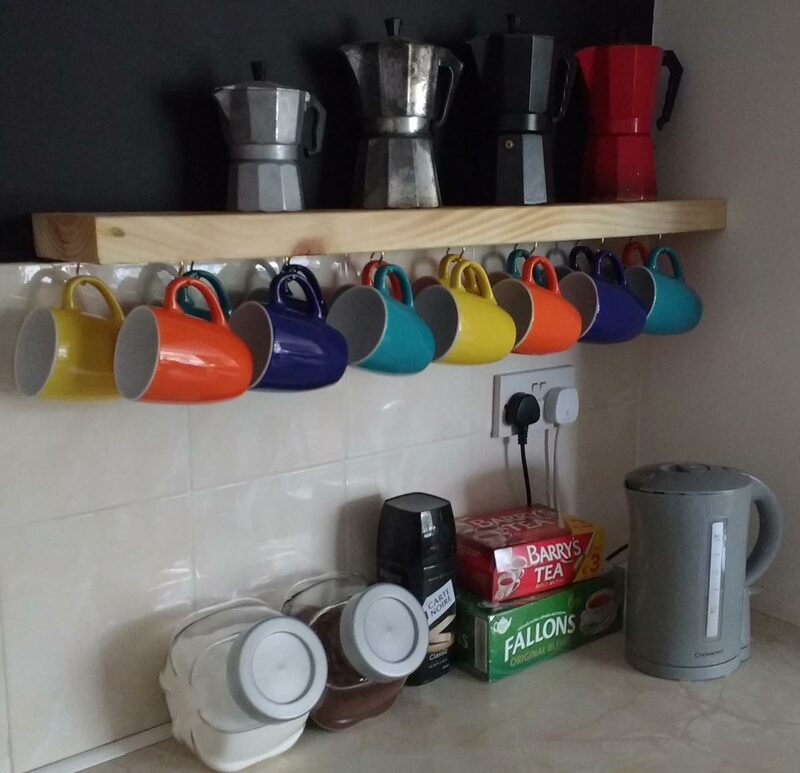 There is also a sizeable games room with pool and ping pong tables, a movie projector and its own kitchen - ideal for large groups or those travelling with kids. There is a large on-site car park adjacent to the building as well as ample field space where the more daring can camp out. Self-service continental breakfasts are provided free of charge to all our guests. Note, though, that early risers get first dibs on the fresh eggs laid by our resident hens! 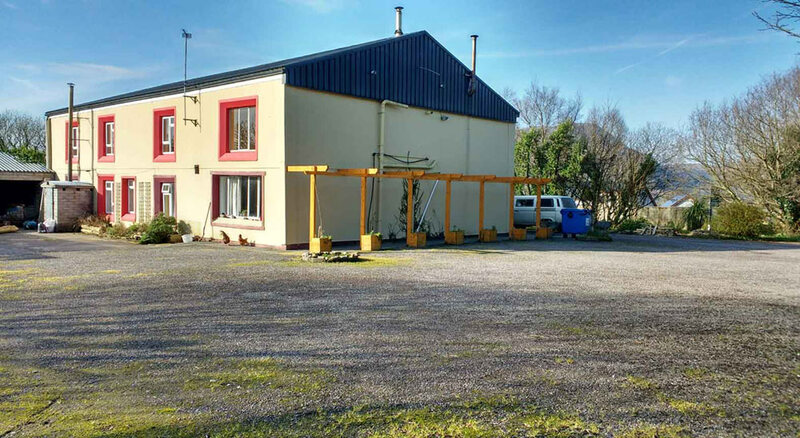 If you've been on the road for several days before arriving at The Dingle Gate Hostel, you can avail of our laundry facility at the back of the games room. Wifi is accessible throughout the hostel. 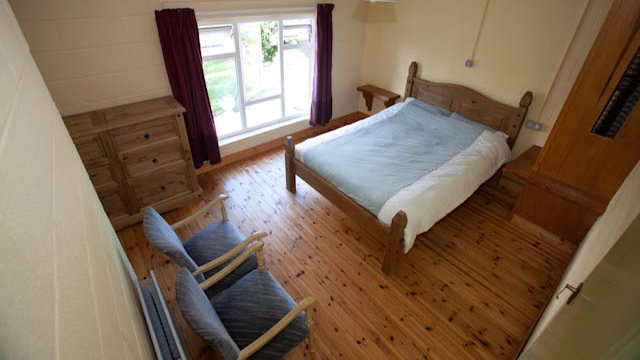 Some of the bedrooms as well as the self-catering kitchen and tv room are located on the ground floor - convenient for guests with mobility impairments. Should you have any particular concerns regarding our facilities and services, please feel free to contact us in advance. 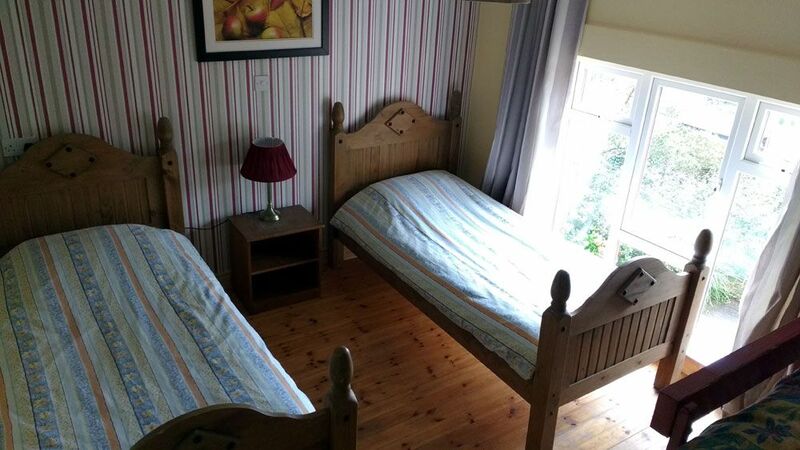 We have a number of double, twin and family private rooms available for reservation. All of our premium private rooms were renovated in spring 2017 with showers and restrooms en suite as standard. 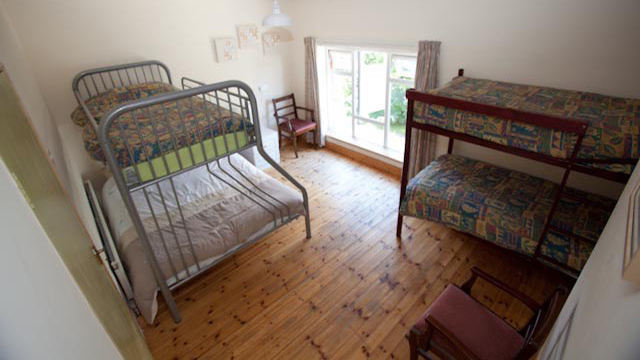 We have a total of 38 beds across our 8 dormitories. Bed prices depend on the room size (the number of guests you share the dorm with) and whether or not you opt for a dorm with en suite facilities. Our dorms consist of a mixture of individual single beds and bunk-style beds and all were renovated in spring 2017. What better way to make a holiday that bit more adventurous, creating unforgettable stories and lifelong memories? 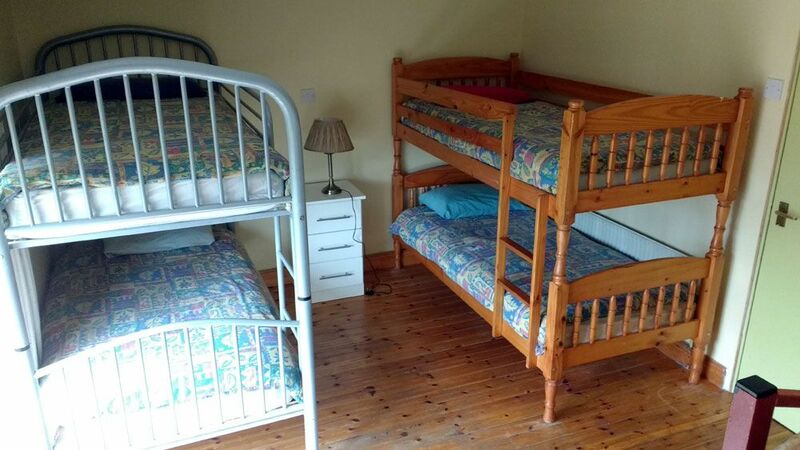 Pitch a tent here at The Dingle Gate Hostel and gain full access to our on-site facilities. There are toilets immediately adjacent to the camping area and campers are also welcome to avail of the restrooms and showers in the building itself. Basically, we provide the space, the facilities and the stars; you bring your tent and the good weather!